Cancer is an unfortunate defect of the division of cells in our body. Being diagnosed with cancer effects both the person and their loved ones watching them struggling to fight this disease. It is indeed a genetic disease that has been found to be hereditary. There are many cases that researchers have found some common mutations that correlate with approximately fifty hereditary cancer syndromes in patients. When cells are unable to divide, due to damages from chemicals in drugs or ultraviolet rays just to name a few, it affects and changes the DNA. DNA can be genetically tested to see if abnormal cells exist in the area being observed. If some kind of disease runs in your family, especially something as serious as cancer, one should consider going for a DNA test to be safe. By comparing normal DNA cells with abnormal cancer ones found, researches are able to pin-point a direction of treatment to get started for the patient right away. This article is informative and very detailed. 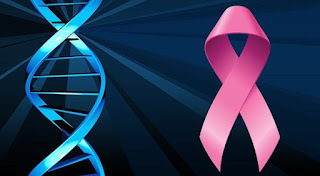 There is a lot of information on the topic of cancer and ranges from the symptoms to look out for to the idea of testing which hereditary symptom the cancer cells have when being observed by a Doctor. Cancer is a disease that is extremely destructive on the body and people's families. Being diagnosed with cancer must be devastating. To be able to test for certain changes in DNA, it hopefully can lead to more prevention, early diagnosis, and better treatments to fight this disease.